Whether you’re sporting trendy gold polish or prefer a natural look, nothing ruins a manicure like a broken nail. Jupiter Beauty Academy notes that there are several easy techniques to revitalize weak and brittle nails. This Boston, MA, beauty school shares their manicurists’ best secrets for keeping your nails looking and feeling stronger than ever. Biotin supplements are helpful in promoting the growth of healthy, strong nails and hair; they’re also beneficial to your skin. Studies found that women who took these vitamins noticed less split nails, a reduction in brittleness, and a 25% increase in nail thickness after six to nine months. A hangnail occurs when a strip of skin separates from your nail’s cuticle. They can cause infections and brittleness in the nails and can be painful to treat. Skip the urge to cut or rip your hangnail off, as this can cause the skin to tear. Instead, soak your hand in warm water or oil for 10 to 15 minutes before using a nail file to buff it away. Don’t use a sawing motion — instead, focus on small strokes. Brittle nails that are prone to breakage often lack moisture. 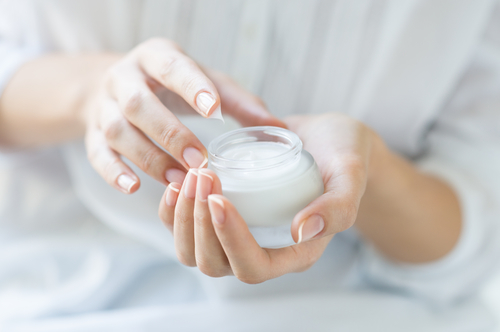 Massaging a thick, rich hand cream or oil into your hands and cuticles will help reduce chipped nails and splitting or cracking. It also helps your nail beds look beautiful and well-maintained. Acetone is known to strip the nails of moisture, causing them to become brittle. Use an acetone-free remover to wipe nail polish away instead. These products are chemical-free and won’t strip your nails or skin of their natural oils. You can have your fingers looking picturesque in no time by following these simple steps. If you’re interested in learning more about nail care — or how you can help others feel confident about theirs — call the experts at Jupiter Beauty Academy. This top-rated beauty school is accredited by the American Association of Cosmetology Schools and the National Accrediting Commission of Career Arts and Sciences. Learn more about this beauty school’s cosmetology courses and salon services online or by calling (617) 288-1811 today.